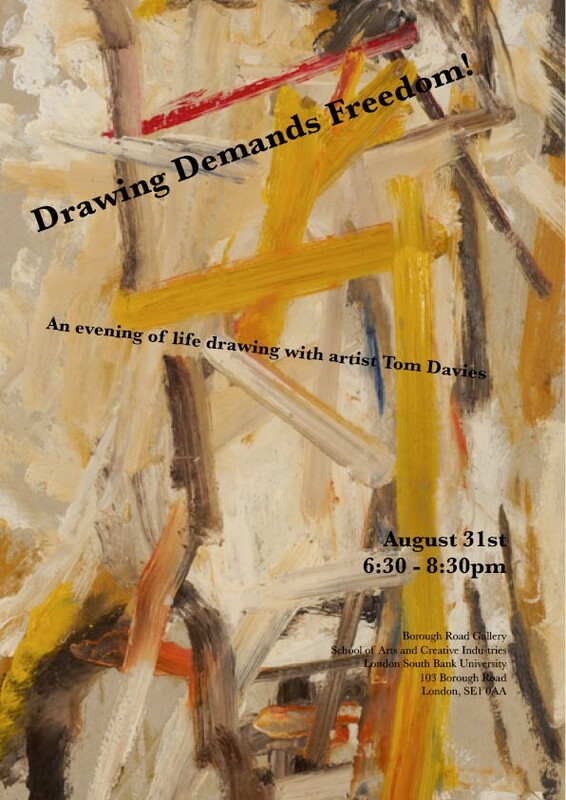 An evening dedicated to the teaching of art (and the art of teaching), this event commemorates the life drawing classes of David Bomberg at the Borough Polytechnic and considers their place in the history of the modern British art school. Tom Davies has taught at both the Slade and The Prince’s Drawing School since 1975 and was himself a student of Bomberg’s disciples. Tom will share his personal experience of studying and working within the London art world and reflect upon the principles which Bomberg sought to realise through his classes. Following this introduction Tom will teach a life-drawing class, encouraging participants to make bold decisions in their work. The evening will conclude with a display of these pictures in the gallery in the collective spirit of the Borough Road Group.